Blaze Media Pro includes powerful features that allow adding audio / music to video files with ease. To add audio to a video file, open the video file into the software's video editor feature. Mark the start position at the beginning of the video file, and mark the end position at the end of the video file. Switch to Audio Only mode, and use the Delete Selection command. This will remove any audio currently in the video file (whether it is a silent track or not). Note: If you do not perform this step, and the file has a silent audio track, the new audio will be added to the end of the video file. You can now use the video editor feature's Add File(s) command from the File menu to insert the new replacement audio file. The process is now complete. Switch back to Audio and Video mode, and save the video into the desired format and filename. 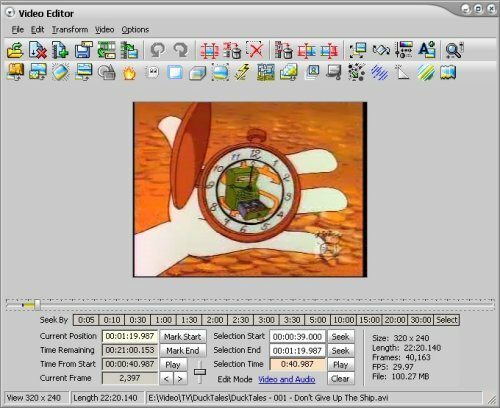 Video editing is very fast and easy with Blaze Media Pro. Advanced options are available for those who want to take advantage of them, though they are completely optional, making Blaze Media Pro the perfect software for users of any experience level to remove audio from video files, add audio to video files, or replace existing audio in video files. Click here for more information on Blaze Media Pro or download your copy now.